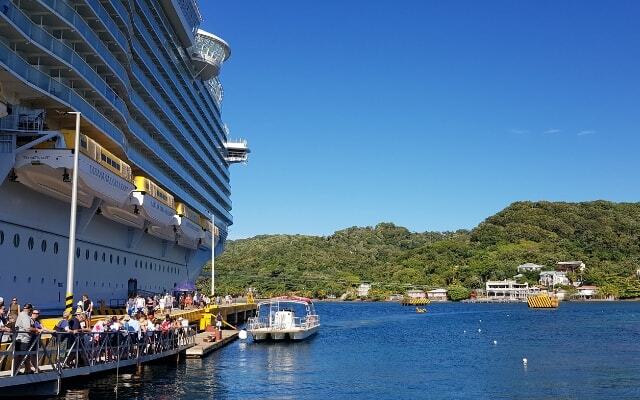 Another one of our incredible cruise stop-offs is the amazing Roatan! Roatan island lies just off Central America, which Spain conquered five hundred years ago, and has an amazing history! When the Spaniards began sending plundered gold back to Europe, pirates attacked their ships, and stole the gold for a second time, sinking the Spanish galleons. The incredible waters have since become the stuff of legends. The island is not large, but has the second largest barrier reef in the world! Dive master Stuart Morgan traded life in frozen Canada for the joys of island living, and took Jonathan for a bucket list dive any diver dreams of. According to Stuart, 95% of all marine life is on this reef. The area has three different types of reef within a fifteen minute boat ride. The island’s diving scene has such diverse attractions spread across so many reefs that you don’t feel crowded. One area will see concentrated coral gardens, another is ideal for shark sightings, shipwrecks or eagle rays. It would take weeks to dive every site. The legendary pirate Blackbeard sailed these waters and every dive holds the promise of some memento from that fabled past. Even if you're not a diver, there is plenty to do. West End is the party scene of the island and is filled with culture, history, and has incredible markets. Central American culture is the strongest theme in Roatan and there is some amazing local craftmanship available at most of the local market stalls. Since the time of The Mayans, excellence in textiles has been a local speciality. When hunger bites, visitors find the seafood from these waters, complimented by ancient corn and bean recipes from the mainland, delicious. 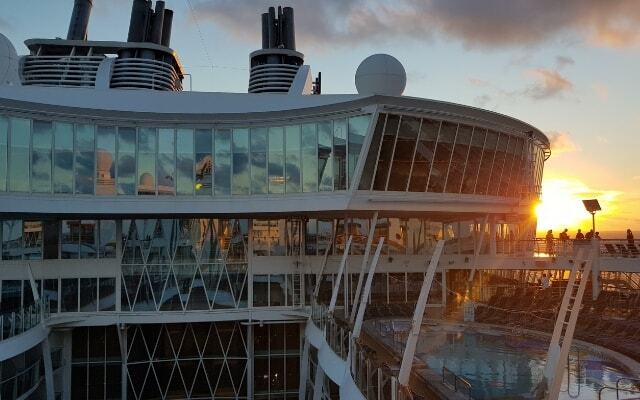 As our presenters prepared to head home and the amazing cruise drew to a close, they were comforted by the fact that The Allure of The Seas more than delivered on the promise and adventure which her name suggests. The amazing experiences they enjoyed were shared with the winners of SABC3 and Top Billing’s Caribbean cruise competition. The seven days on board the sixteen passenger deck cruise-ship were beyond what Cloudetta Sono and her friend, Mahalagonolo Mlilwana ever imagined. The incredible experience was all owed to our outstanding hosts from Cruises International, local representative of Royal Caribbean International in South Africa.